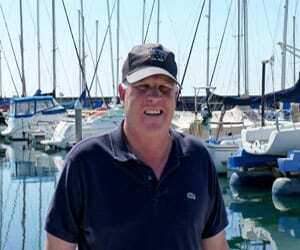 Chandlery Yacht Sales is delighted to represent the XP44 in California and Oregon. It is a superb craft. 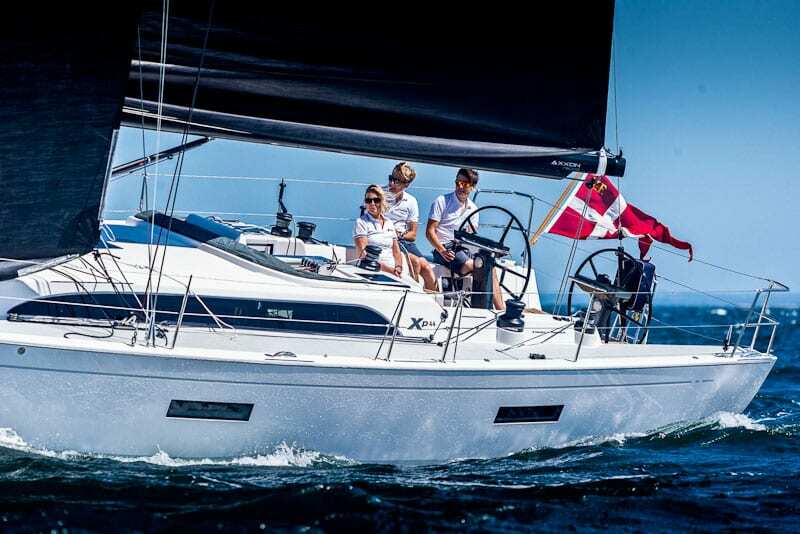 The XP44 combines remarkable performance with ease of handling, making it appealing to whole the family. 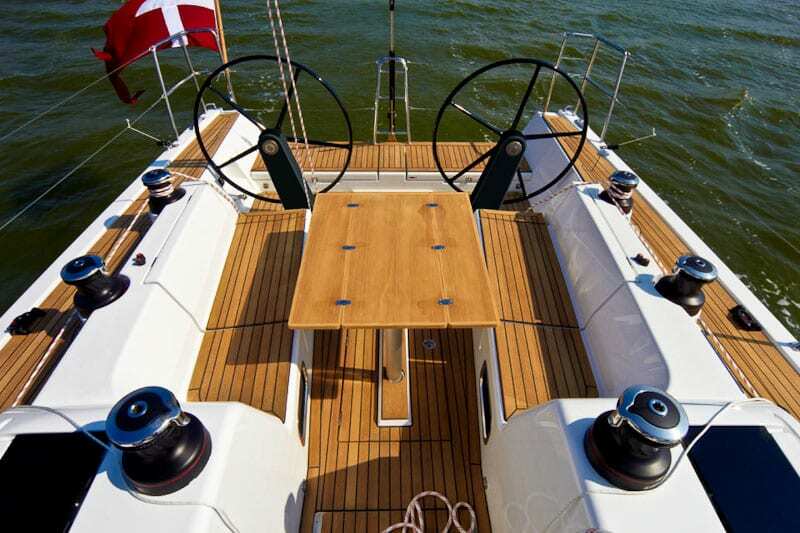 X-Yachts is able to do what most others can not because they manage all aspects from design and production in-house. 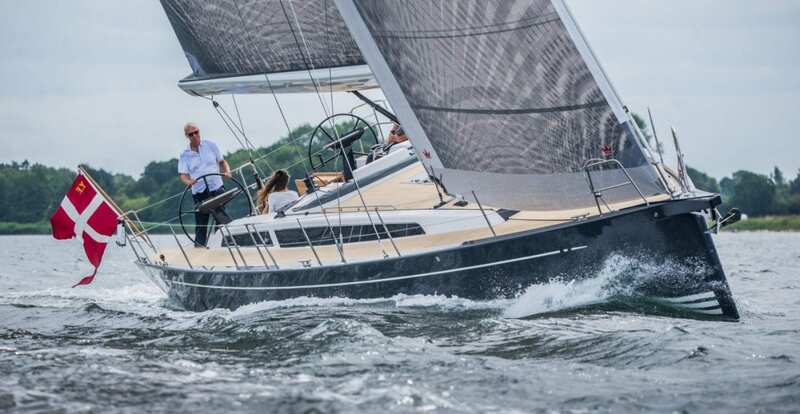 A highly optimized hull shape offers exceptional performance in a wide range of wind conditions, on all angles of sail, under both ORC and IRC handicap systems. 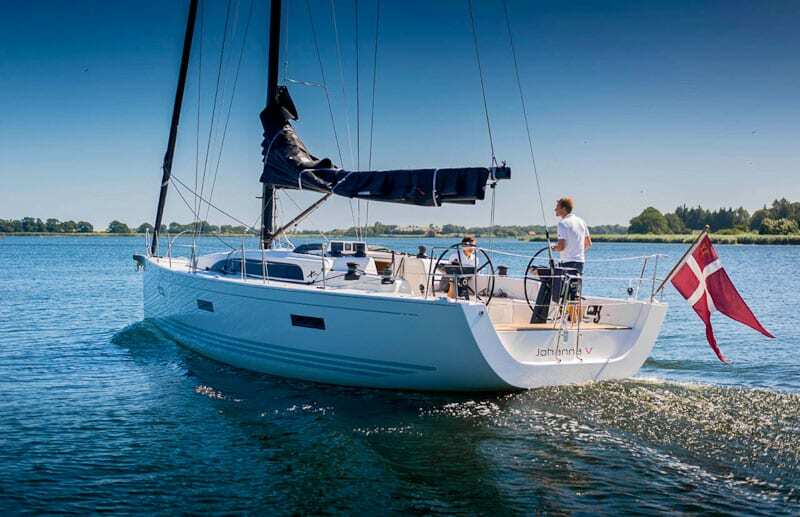 Key elements of the hull design include reduced upright beam and wetted surface area, while the transom shape ensures that as wind speed builds and the boat powers up, the overall waterline length increases for additional speed. 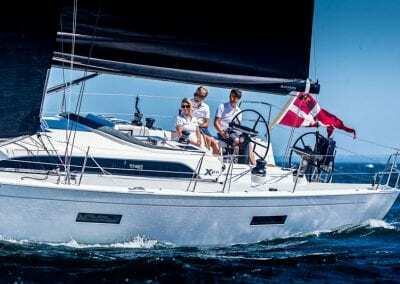 The XP44 was the first of the Xperformance line to be launched and was named Sailing World’s ‘Yacht of the Year’ in 2014. 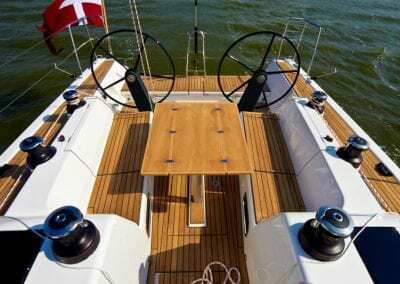 The XP44 deck layout is designed for ease of handling and maneuvers whether racing or cruising. 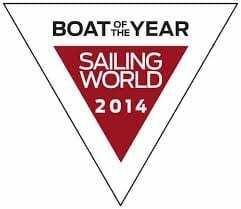 Standard features include a below deck furling drum (with furling line led back to halyard winch), low friction racing blocks, large self-tailing winches, and adjustable jib cars and tracks. Naturally, there is also the option of powered winches. 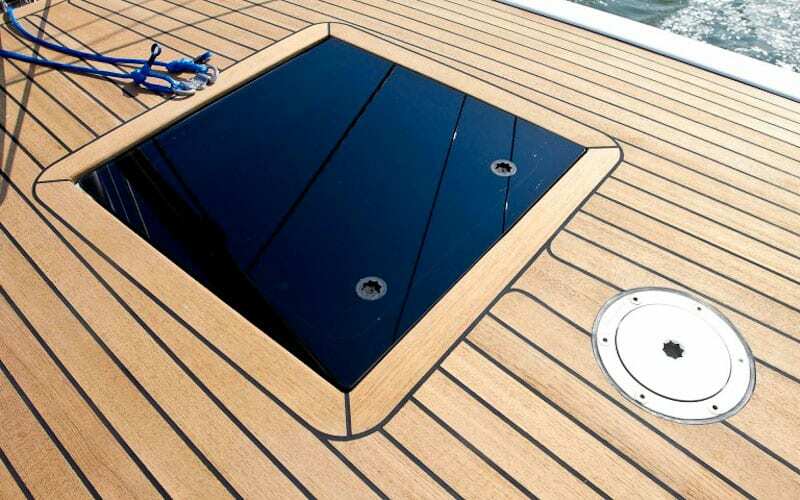 All halyards and trim lines are concealed below deck and led aft to self-tailing . 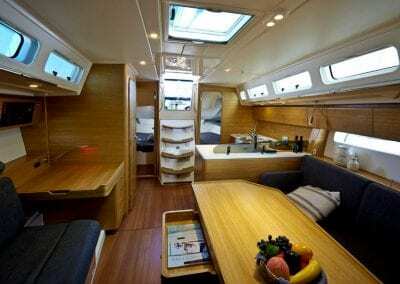 The main-sheet is led along the boom to the gooseneck, down to deck-recessed blocks, then below the side decks to dedicated winches within easy reach of the helmsman for safe, stress-free short-handed sailing. The XP44 interior is offered in a three cabin layout, which benefits from exemplary use of light and space. 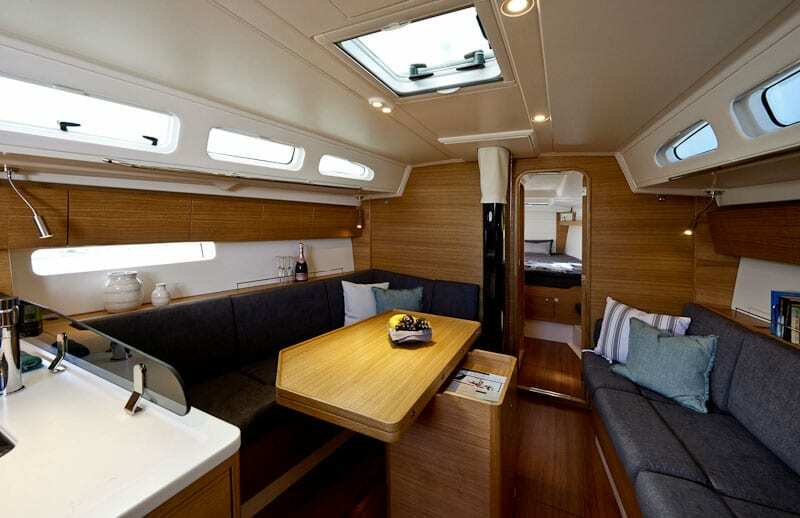 Ample natural light from the flush-mounted hatches and opening port lights creates a spacious feeling. 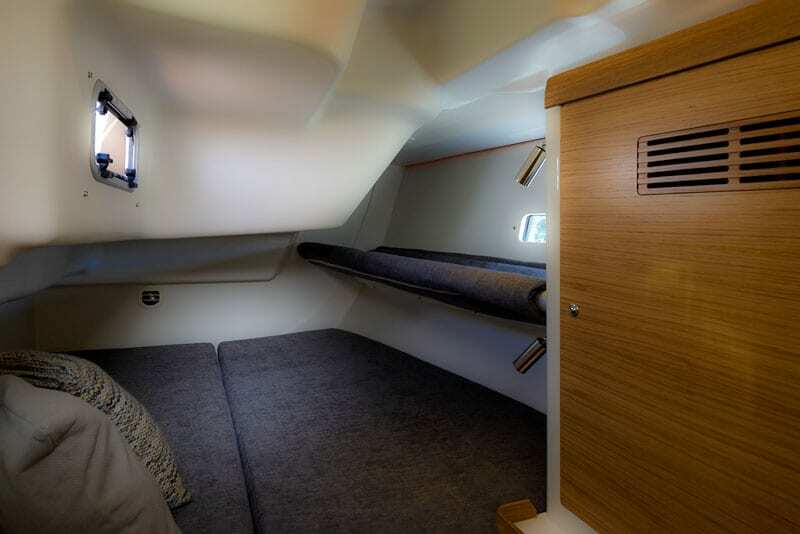 A choice of high-quality interior finishes allows owners to create an interior that is both elegant and practical. 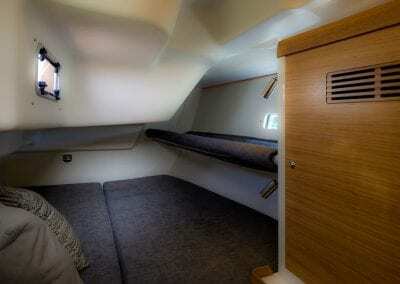 The secure galley is arranged in an L-shaped configuration for safe working at sea. 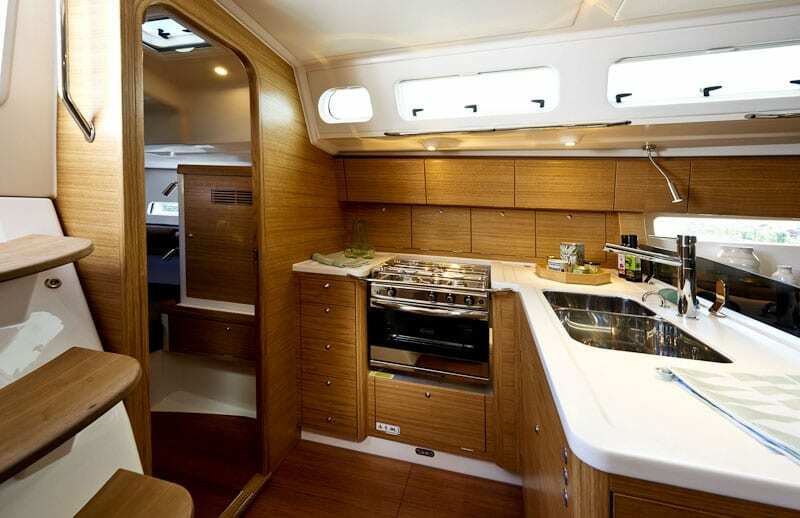 The 2 burner gas cooktop is gimbaled and cool box are fitted as standard. 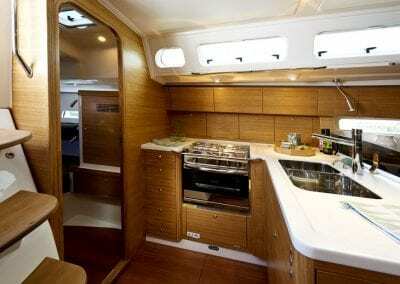 Options include a three-jet cooker with oven and grill, 65-litre fridge and microwave oven. 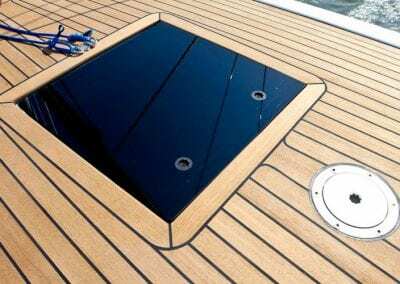 The saloon table also incorporates concealed storage for bottles and similar items and is completely removable to facilitate crew movement and sail storage whilst racing. 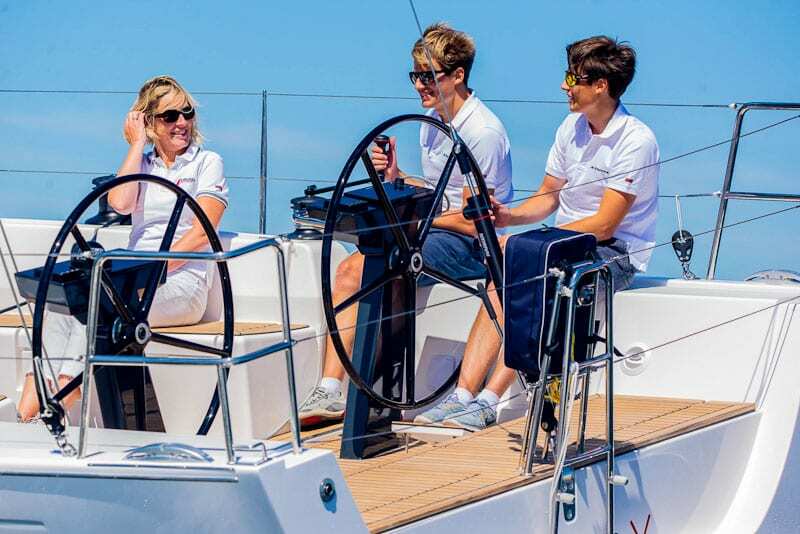 The XP44 also introduced the XP range’s adaptable new sliding navigation station, supplied as standard, which allows for additional seating or a forward-facing chart table. It is also offered with a fixed chart table option and wooden galley. 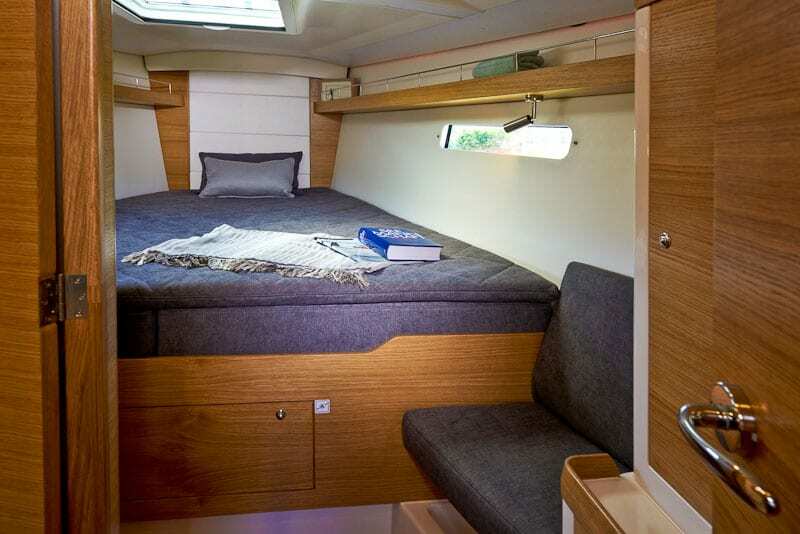 The three-cabin layout includes symmetrical double aft cabins, a forward cabin with en-suite heads, L-shaped galley is now available in a new wooden finish option., additional heads accessible from the saloon, and spacious seating area around a removable saloon table. Flush-mounted hatches and stylish LED lighting creates a light and welcoming space, day or night. 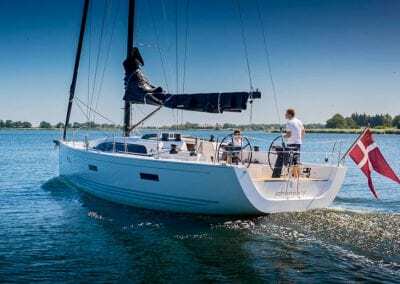 Read More About the XP44 on The X-Yachts Website.